These easy to create projects, will complement your seasonal home decor without having to store large items. 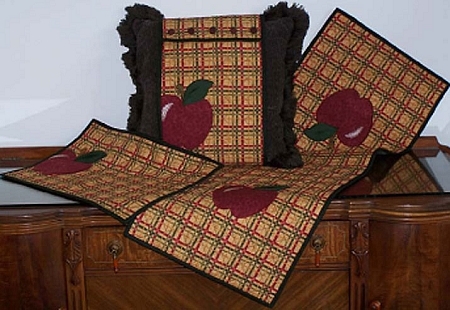 Just change the pillow jacket, place mats and table runners for each season. This design package includes 2 designs and project instructions. It is packaged with 3 different sizes: 5x7 in., 6x10 in., and 7x11 in. hoop sizes. The instructions are written for the 6x10 in. project. Placement adaptation will be needed for the other hoop sizes.